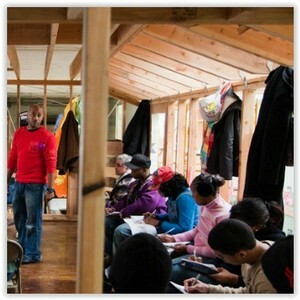 STRIVE is a nonprofit employment training and placement organization. For the past twenty years we assisted individuals achieve economic independence through employment. The STRIVE employment model is rooted in the belief that every individual has the power to change and often simply needs the tools and supports to do so. Our mission is to help people acquire the life-changing skills and attitudes needed to overcome challenging circumstances, find sustained employment, and become valuable contributors to their families, their employers, and their communities. STRIVE is committed to serving the hardest-to-employ, most at-risk individuals. These include the long-term unemployed, the formerly incarcerated, disconnected youth, recovering addicts, public assistance recipients, veterans, the homeless, and the working poor.